Phone order 949.454.8577 will be the only way to order for this mymusicfix newsletter due to special discounted pricings. Please mention this newsletter when ordering to gain your discounted price. Book Mark This, These LPs Are Out Of Print Forever! Classic Analog LP Pressing. Genius, brilliance, masterpiece; a few of thousands of words that could describe one of the greatest pieces of music in man kinds history; ABBEY ROAD. When the Beatles completed their last album as a band in 1970, they official set the standard of greatness. You cannot find this analog pressing anywhere in the vinyl market and will no longer have the chance to do so. Simply put, don't miss out on this opportunity, you may never see this price and/or chance again. 180 Gram Virgin Vinyl LP Pressing. 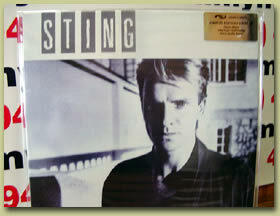 From one spin of THE DREAM OF THE BLUE TURTLES, Sting's first solo release in 1985, it's obvious there would be life beyond The Police. Teamed with a band of top jazz players, he presents his musical visions that had gone unrealized while he was still constrained by his former ensemble. In style and subject matter, it's a decidedly diverse collection of songs with excellent musicianship throughout. 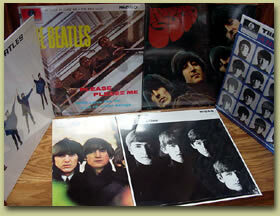 Set including: PLEASE PLEASE ME, FOR SALE, HARD DAY'S NIGHT (euro-sealed), WITH THE BEATLES, HELP, RUBBER SOUL. With this month marking the 40th anniversary of the Beatles Invasion, the Grammy's and music world are again in Beatlemania. These albums, with the exception of WITH THE BEATLES (rare mono pressing) have been direct-metal-mastered from a digitally re-mastered original tape to give the best possible sound quality. Mymusicfix has listened to them AND THEY SOUNDS GREAT!! 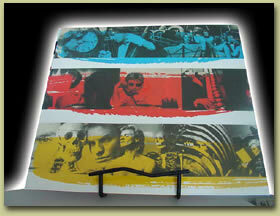 This rare set of LPs is a one time offer for this newsletter only and can only be purchased by calling 949.454.8577. Standard Weight LP Pressing with a small cut mark in the cover (LP is still sealed and perfect). A marquee name in the R & B industry, Luther Vandross has been a inspiration to the hip-hop nation for years with his velvety smooth voice and catchy beats. 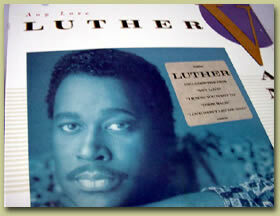 Included in this LP are his hits "Any Love," "I Know You Want To," "Come Back," "Love Won't Let Me Wait." Standard Weight 3 LP Set. For over a decade the Atlanta-based super duo, OutKast, has been consistently pushing hip-hop's envelope by expanding its musical boundaries with every album they release. Their unique blend of jazz, blues, soul, rock and world music along with some good old-fashioned hip-hop laced with their Southern sensibilities has constantly set the world on its ear. 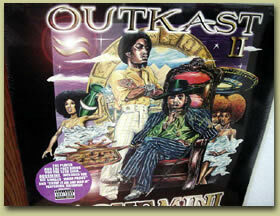 Aquemini, featuring such mega hits as "Rosa Parks" solidified the band as a hip hop super group of a different kind. 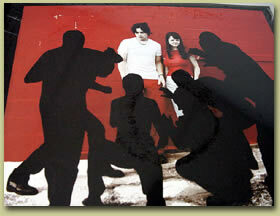 180 Gram Limited Edition Classic Virgin Vinyl LP. Truly one of the great albums of all time, this power trio creates an explosion of sound that shoots from your stylus and puts you back in your seat. The songs, many of which are classic radio fixtures, are mostly about love, or a lack of personal connection. The hits alone are worth the price of the album! Songs like "Roxanne," "Next To You," "Can't Stand Loosing You," and so many more. 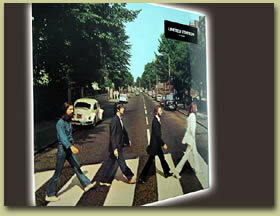 180 Gram Limited Edition Classic Virgin Vinyl LP. 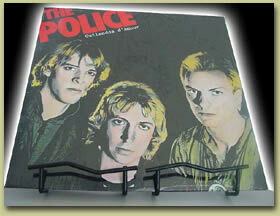 The last full-length studio recording from the Police, the final evolution of their sound, and the album that yielded their greatest success. It is a brilliant pop record, but it's something more as well. The singles, particularly "Every Breath You Take," "King of Pain," and "Wrapped Around Your Finger," while pure gems by themselves, are an integral part of the album's musical and lyrical texture. As the title indicates, the album's intellectual content is inspired by C.G. Jung's psychosocial connecting principle and it manifests lyrically in some of the most evocative imagery Sting has ever created. 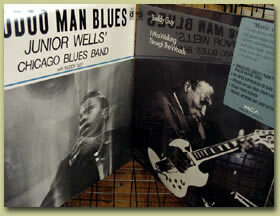 $49.99 BUDDY GUY WALIKING THROUGH THE WOODS & HOODOO MAN BLUES with JUNIOR WELLS 2 LP Set. Walking Through The Woods is a 180 Gram MCA LP, Hoodoo Man Blues is a Classic Analog LP Pressing. Walking Through The Woods solidified Guy's reputation as a first rate guitarist and singer, and freed him from earlier comparisons to B.B. King. It draws material from several different sessions recorded between 1960 and 1964, and while King's influence can be heard in certain places, it's undeniable that Buddy guy, both as a singer and as a guitarist, established himself on this album as one of Chicago's premier, and most unique, modern bluesmen. Hoodoo Man Blues is a 1965 album where vocalist and harmonica player Junior Wells comes into his own. An early collaboration with Buddy Guy, the two of them sum up the 1960s funk-rock-blues that lay ahead. MFSL 24K Gold Ultradisc CD. Legendary crooner Tony Bennett teams up with the astounding Count Basie and his orchestra for a live performance that will blow you away. Include are beautifully written songs like "Just In Time," "Pennies From Heaven," "There Will Never Be Another You" and "Lullaby On Broadway." 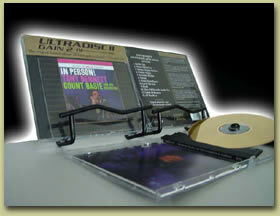 Don't miss out on one of your last chances to get this performance on MFSL Ultradisc CD before it is gone forever. 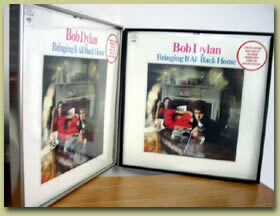 2 LP UK Pressed Classic Analog Pressing with a gatefold cover. 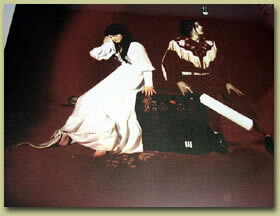 A rare group consisting of just two people, Jack and Meg White (they were once married), this rocking, bluesy, garage based sound delivers a 14 song LP that will leave you begging for more. Already regarded as one of the greatest guitar players of all time by Guitar Magazine, Jack Whites catchy licks and ripping solos are a throw back to the guitar gods of the 60s and 70s. This 2 LP gem also contains a cover of Bacharach & David's ''I Just Don't Know What To Do With Myself'." UK Pressed Colored Vinyl Classic Analog Pressing. The music of the Stripes' third release maintains the raw, edgy, garage sound that is synonymous with their first two releases. This LP launched the Detroit's duo into national stardom with hits like "Fell In Love With A Girl," and "Dead Leaves And The Dirty Ground," but also show cases Jack Whites throw back sound and beautiful song writing with the "We're Going To Be Friends," track, which could be mistaken as a Paul McCartney ditty. Special Note: There have been so few vinyl LPs produced over the last 5 years that you should never pass up the opportunity to upgrade your collection. They're each very limited in their pressings and disappear with extraordinary quickness from the vinyl market. This causes prices to skyrocket because once they are gone, they are gone forever! To order, please call 949.454.8577, email mymusicfix2@msn.com, or go to mymusicfix.com and use our search located on our home page. We accept Visa, MasterCard, Paypal & Money Orders. For international customers, please email for shipping rates and purshase by bid pay.